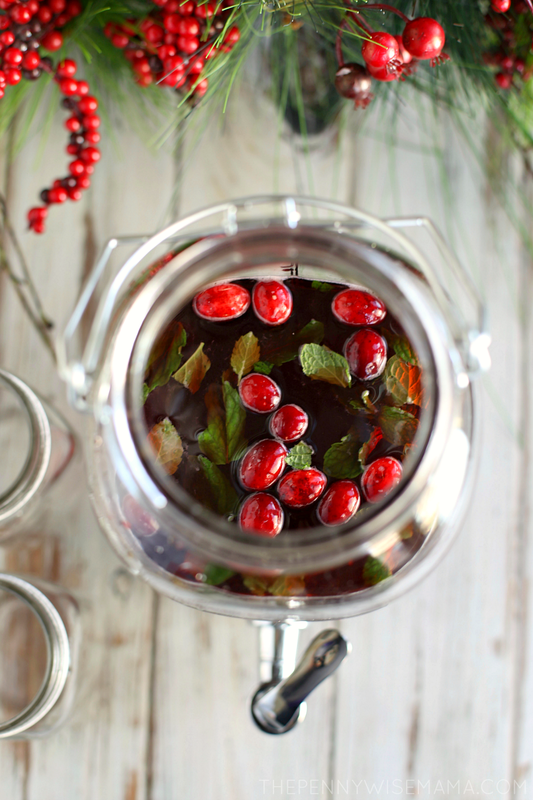 This Cranberry Mint Iced Tea is festive and delicious – perfect for the holidays! This is a sponsored conversation written by me on behalf of Lipton. The opinions and text are all mine. Over the holidays, we will getting together with family a lot, which means we will be sharing some yummy meals together. Just like every year, my side of the family will be coming over for Christmas Eve dinner. We will eat delicious food, open presents and spend quality time together. I can’t wait! I love and cherish these special moments that I get to spend with my family. For our holiday dinner this year, I’m planning on serving a spiral ham, cheesy hash browns, green beans and homemade rolls. It’s a classic, comfort meal that pairs perfectly with iced tea. 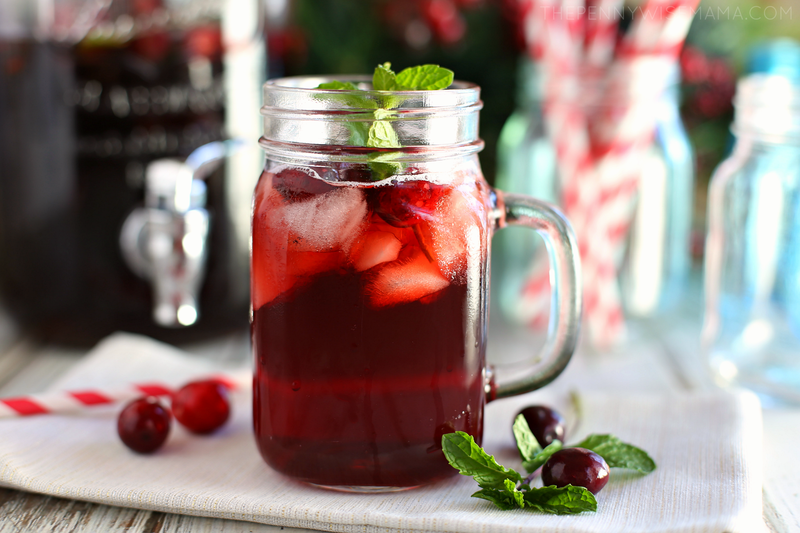 However, instead of serving traditional iced tea, I will be serving Cranberry Mint Iced Tea — a fun, reimagined twist on the classic! It may no longer be summer, but that doesn’t mean you can’t enjoy iced tea. 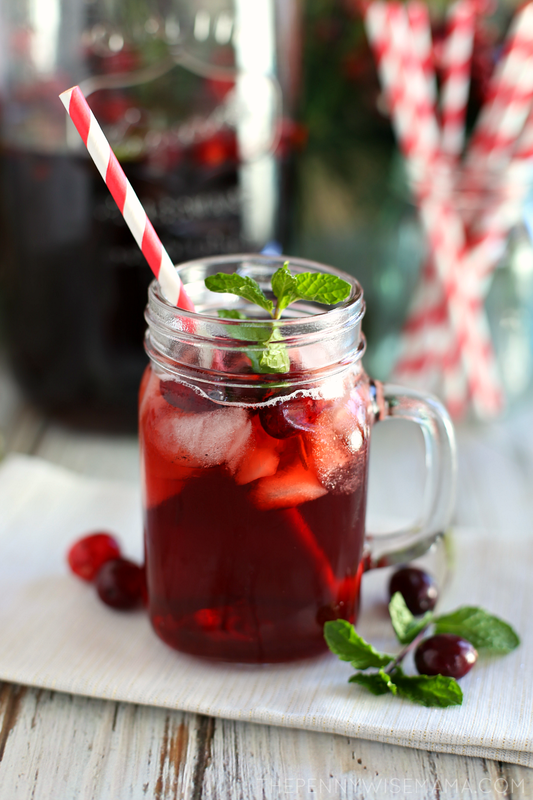 No matter what time of year, ice tea is delicious and refreshing, making it the perfect accompaniment to any meal. Around here we drink it with lunch, dinner or simply by itself! I happen to be obsessed with sweetened iced tea, aka sweet tea. It’s one of my favorite drinks! 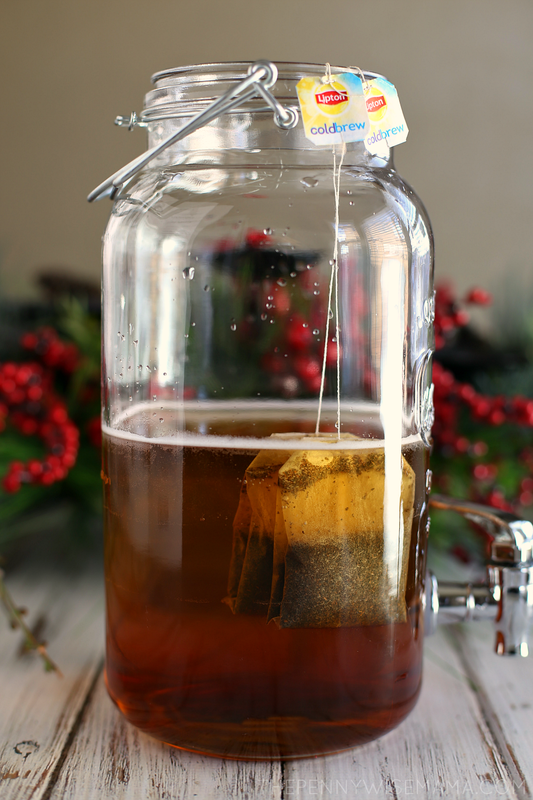 When I was a kid, I remember my dad putting Lipton Iced Tea bags in a big jar filled with water and then setting it out in the sun all afternoon to brew. When it was ready, we would add sugar to it and enjoy a glass with dinner. I thought it was so yummy, and now to this day, I still love it. And when I think of the perfect family meal, it always involves iced tea. 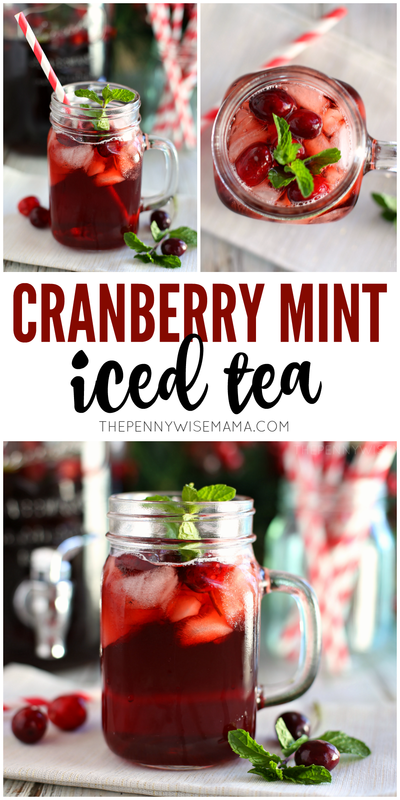 This Cranberry Mint Iced Tea is super easy to make and your guests will love how delicious and festive it is! 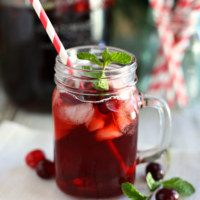 All you need is Lipton Cold Brew Iced Tea, water, a can of frozen cranberry juice concentrate, sugar (or natural sweetener), fresh cranberries and mint leaves. 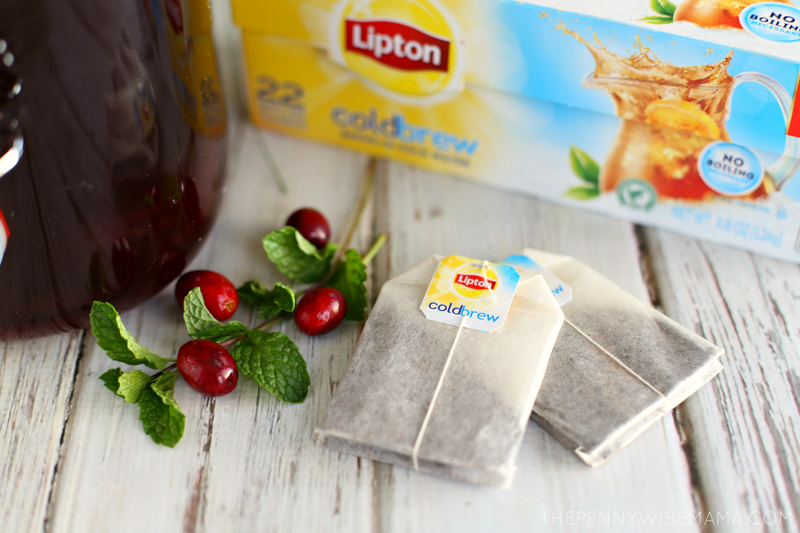 Lipton Cold Brew makes it easy to fresh-brew your iced tea without the need to boil water. It brews your tea in just 5 minutes with cold water! 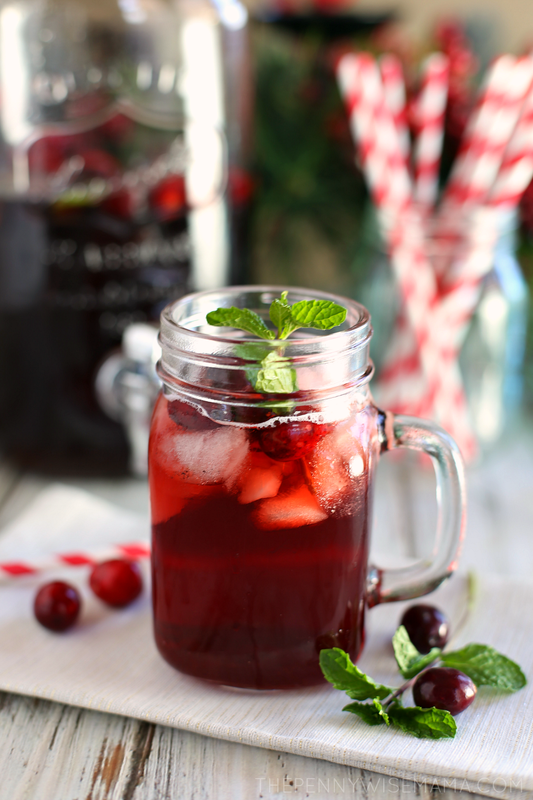 Simply prepare it in a pitcher or a large beverage dispenser, add the cranberry juice concentrate, whole cranberries and mint leaves. Sweeten if you’d like and then serve in individual glasses with a fun straw and enjoy! I love how easy this recipe is to prepare and I can’t wait to serve it to my family this Christmas. Try it out and let me know what you think! 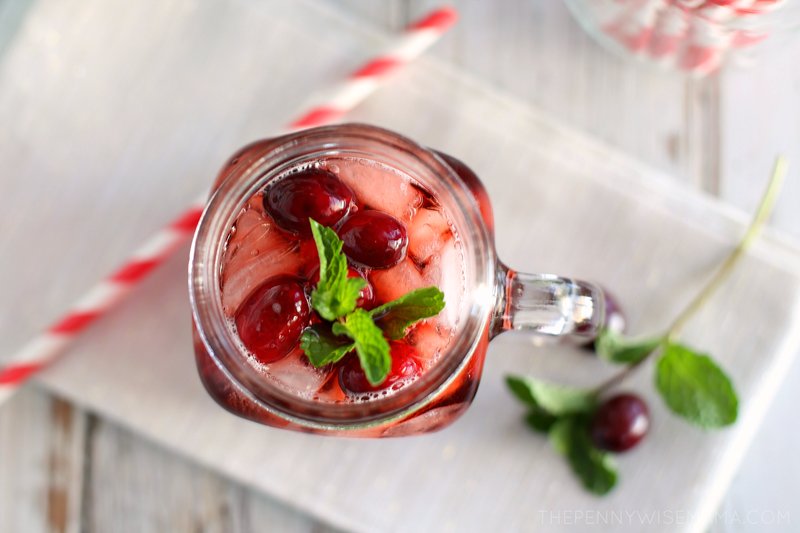 This Cranberry Mint Iced Tea is festive and delicious - perfect for the holidays! 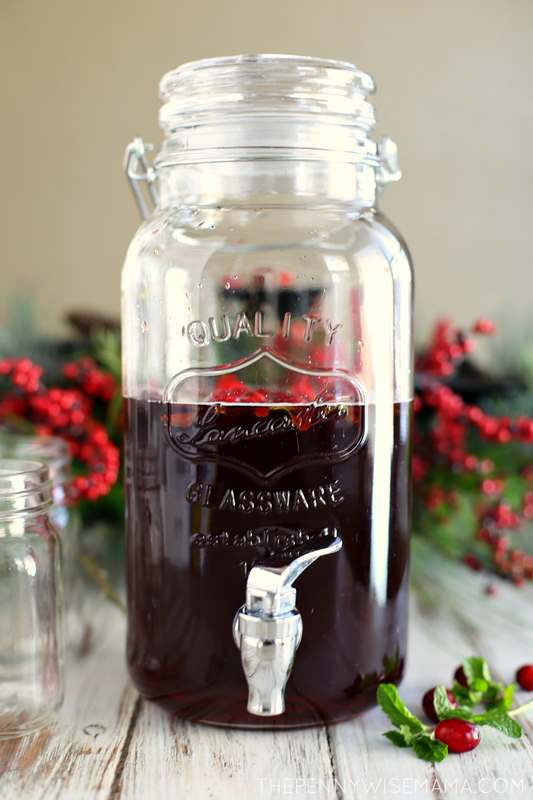 In a large pitcher or beverage dispenser, pour cool water over two tea bags. Cold brew 5 minutes dunking frequently. Remove tea bags. Add frozen cranberry juice concentrate and stir until well combined. Add sweetener if desired, as well as cranberries and mint leaves. Pour tea into individual glasses filled with ice and serve. I hope you enjoy a wonderful holiday season with your family! As you begin to prepare your holiday meals, make sure you check out Food Network’s Lipton Bright Bites for seasonal recipes with a creative twist. 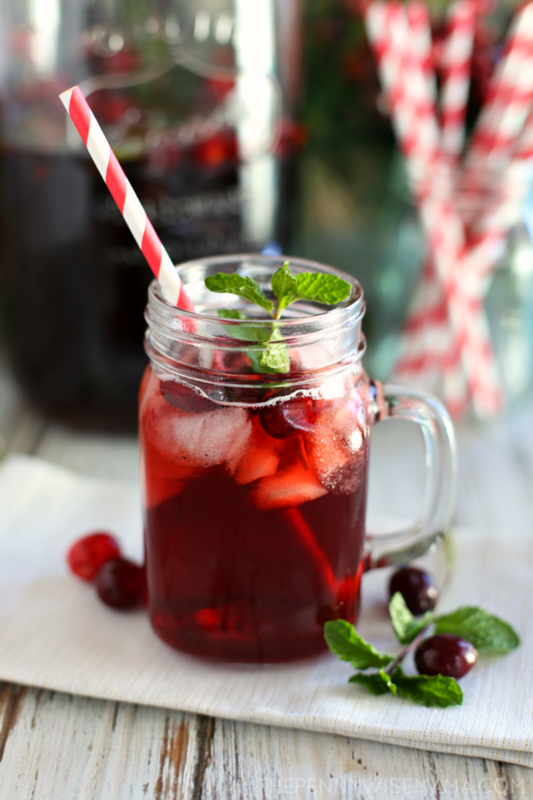 What’s your favorite way to enjoy iced tea? I think I’ll make this throughout the year! It looks delicious! This looks so delicious. I love iced tea. Sounds delicious all year-round to me.